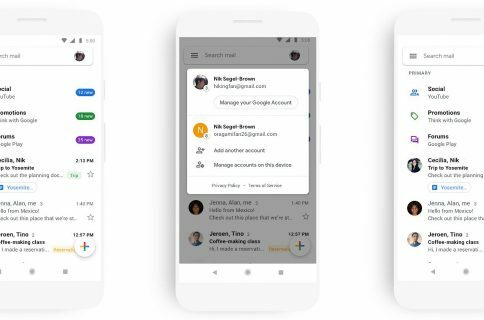 Easily Sync Your iPhone Contacts With Gmail Using "Contacts Sync for Google Gmail"
Are you one of the thousands of users who have transitioned their entire online ecosystem into Apple’s iCloud? Did you stop syncing your contacts with Gmail in order to sync with iCloud? 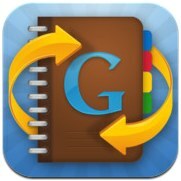 Do you want to maintain your address book with iCloud and have the same address book in Google Contacts? This application is currently available in the App Store for the price of $2.99. The developers made a Mac application, priced at $4.99, to coexist with the iPhone application. However, anyone who syncs their contacts from their computer to their phone will only need to buy the cheaper iPhone version. This application is perfectly compatible with iCloud. I have tested it with several Google accounts and it has never failed me. I have synced my entire address book onto Google Contacts because I want consistency. It is also easier when trying to use Google for email to have a consistent (non broken) address book. On top of its ability to sync individual contacts, users who use “groups” can rest easy knowing your groups will sync safely. When using the application you will be prompted to select your method of syncing. Your contacts will then load and you will be asked to review the information and confirm the action. 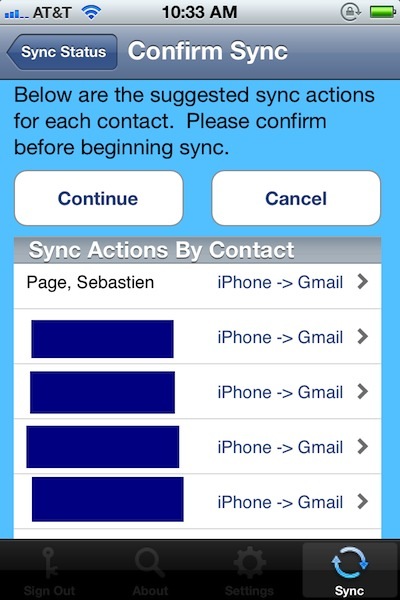 This pre-sync stage is to prevent things like loss of contacts and duplicates. The application gives you the option to either “merge” or “replace” contacts, found in the settings portion of the application. On top of that, Contacts Sync for Google Gmail supports “2 way sync”, “Gmail contacts to iPhone”, “iPhone contacts to Gmail”, “Manual sync”, “Delete iPhone contacts”, and “Delete gmail contacts”. As you can see, there are a variety of options for maximum productivity when maintaining your address books. A native iPad application is not needed since the primary function of this application is to sync contacts. The iPhone experience will certainly get the job done for anybody who purchases the application. Looking at the App Store reviews, you can see an overwhelming number of positive reviews for this application, which reinforces my thought that this is indeed a great application. 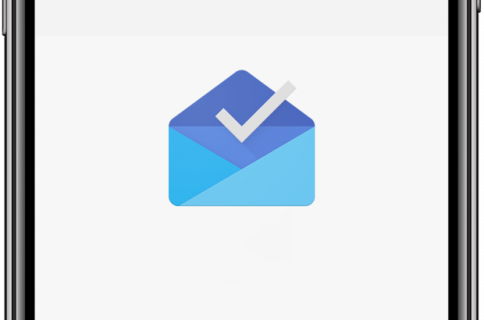 You can get Contacts Sync For Google Gmail from the App Store for $2.99.